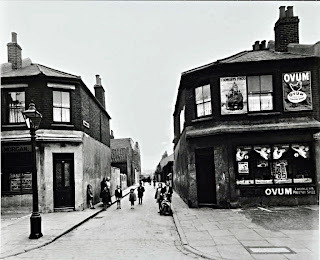 I absolutely love seeing images of Deptford as it was in the past. Thank you so much for posting the picture. Thanks for your kind comments. I'm please you find that particular photo interesting. There is so much hidden Deptford history locked away from the interested public and only accessible through lengthy research and then paying a high price for it once found. I understand a charge has to be made to offer a service but some institutions have turned our heritage into a money making business charging a high price for it, and yet I ask myself where would these businesses be if it wasn't for the lives, sad times, happy times of the Deptford people who lived and originally recorded their history for all generations to enjoy in the future free of charge. Its our history not to be made into a money making business. Great image. Are the shops on Bronze Street or what is now Creekside.? A fascinating area which has seen huge changes. What happened these these buildings on Bronze Street? Bombed in the war? Destroyed to make Church Street wider? Are they on what is now the nature reserve? I thought I read somewhere years ago there were buildings on that site that were bombed. Can't really remember though. thanks for your support on my statement ref Deptford Heritage, and also the link to the papers etc. I was born in Finch House,Bronze Street,Deptford in 1960. We moved away when I was 7 and the flats were renovated. 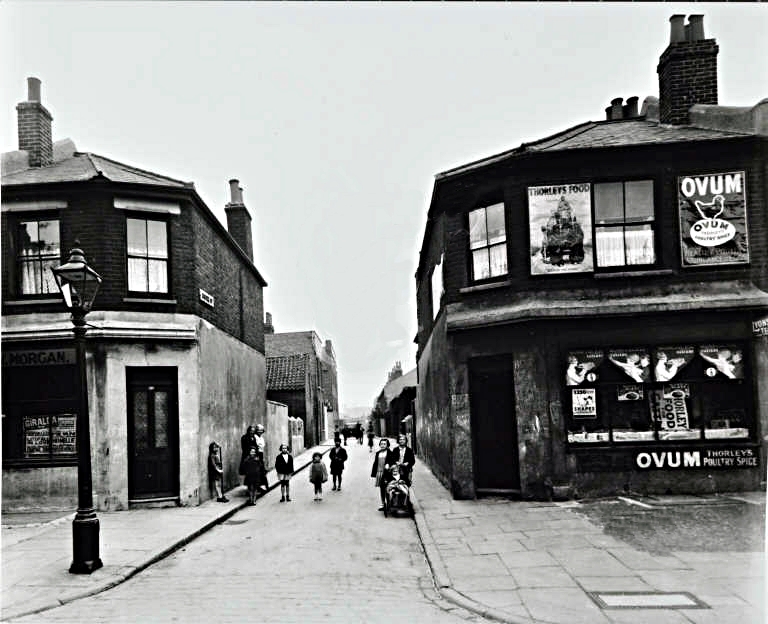 My Nan and Grandad lived in Friendly Street, Deptford (where my Dad was born) and later moved to Finch House in Bronze Street. They were Jim and Alice Morgan and my failing memory seems to think they lived at No.12. When I was a youngster we visited them often, but it always seemed like such a long walk back to Deptford Bridge to get the bus home to Charlton. I was born at No. 17,delivered at home by the midwife. It was the second floor flat in the corner as you face the block. Some of my family were from Friendly Street,86 I think recalling old certificates. Dad was born in 1916, at 119 Friendly Street. His Mum, my Nanny Alice, was a lovely lady who had to bring up her sisters on her own, because their Mum died in mysterious circumstances in Deptford Creek! My family were the first tenants in no. 3 Congers House. I once lost a shilling in the drain on the left; and never forgot it.